Alpine pinks are great plants for the rock garden or as edging along the front of the border. With red wavy edged scented flowers this compact plant flowers from late spring to the end of summer. 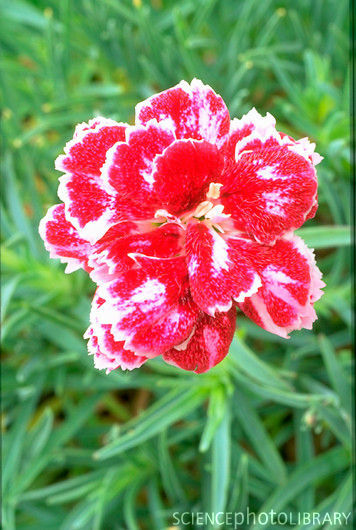 Description: compact mound with red and white double flowers. Flower: Red with white edges. Pruning: Tidy old foliage in the spring.